Our series of specialist handles for thick doors are designed to accommodate thermally insulated or sound proofed panels of unusual thickness. They are also designed with large handles for operation with gloved hands, for example in cold rooms, or HVAC air conditioning installations – they are suitable for package generator sets and sound proofed rooms. They are also suited to other thick panel applications such as specialist trailers and vehicle bodies or agricultural use in situations where gloves are normally worn. 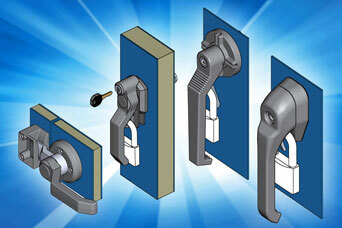 This range of thick door latches and L handles also includes padlockable versions, recessed pull handles and hinges. 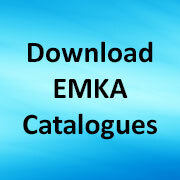 CAD drawings of these products may be downloaded from www.emka.com/uk_en/products/cad-files/. Share the post "Specialist handles for thick doors"